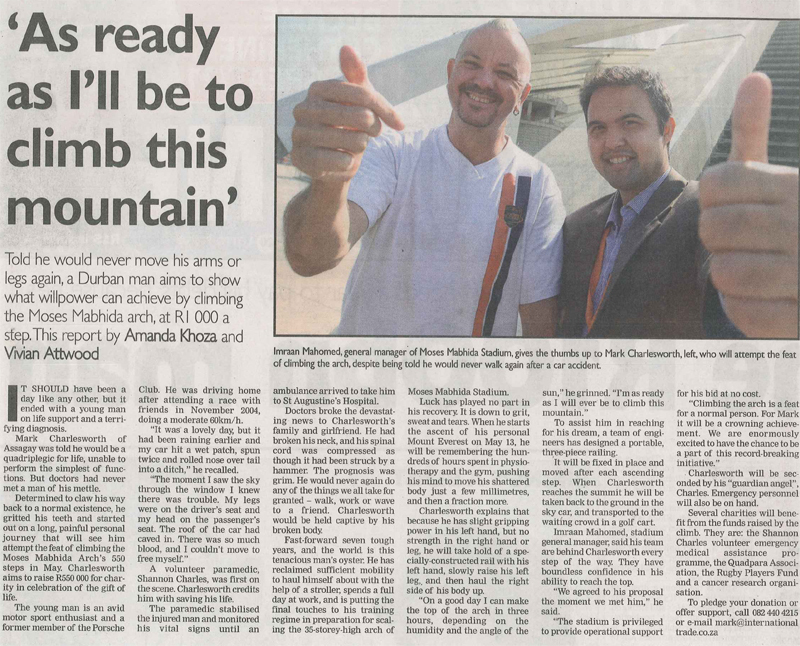 Mark Charlesworth, a quadriplegic, will attempt to climb the Moses Mabhida Stadium Arch in order to raise money for charity. The Players’ Fund are one of his chosen beneficiaries. 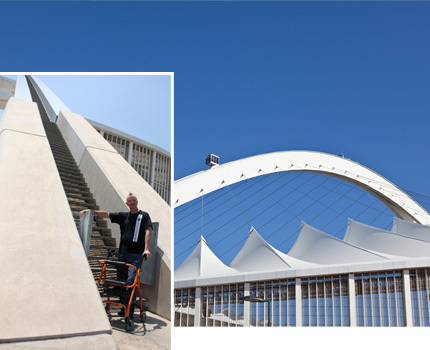 On Sunday the 13th of May, Mark will take to the stairs of the Durban Stadium in the hope of reaching the summit of the arch not once, but twice. 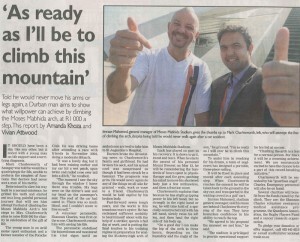 That is over 1000 stairs a mere seven years after a car accident left him classified as aquadriplegic. Not an easy feat by any means and something that he has gone out of his way to achieve all in the name of charity. Besides the Players Fund, the other organizations that will be benefiting from the event are the QuadPara Association of South Africa, Highway Hospice and VEMA. The day will also have a host of supercars on display thanks to the Porsche and Ferrari Club’s of South Africa! This is an event we should all get behind and support. If you’re able to help – either through sponsorship or by giving your time – give Mark Charlesworth a call on 082 440 4215 or email mark@internationaltrade.co.za. Follow his training schedule on Twitter @onestepbeyondSA. Location: Moses Madhiba Stadium, Durban.